Pressure Cleaning Services in Llanelli & surrounding areas. Pressure washers Llanelli will bring a fresh and clean look to all surfaces with our pressure washing service. Driveway cleaning, patio cleaning, decking cleaning, exterior walls and more. We can clean and restore many surfaces with our pressure cleaners like your decking, block paving, natural stone or concrete giving them a like new appearance. With a combination of high-pressure water and biodegradable cleaners, we can remove mould, moss, weeds, algae and more. Pressure washing also known as power washing or cleaning is the use of high-pressure water delivered from our professional pressure cleaning machine. We can use several different attachments depending on the job needs. With it we can remove stains, mould, algae, grime, mud, chewing gum, paint and more on a variety of surfaces. Some of these surfaces are decking, garden furniture, patios and driveways, walls, rendering and cladding. JDM Window Cleaning Can provide our pressure cleaning service to domestic and commercial clients alike. 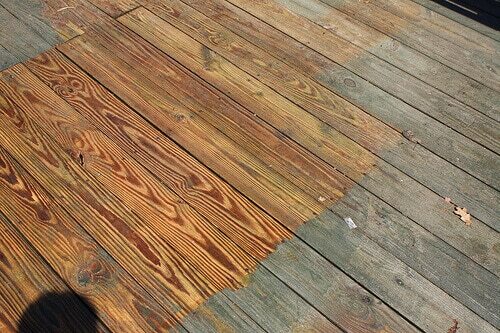 We will always discuss your pressure washing requirements and give you a realistic level of restoration achievable before cleaning starts. Our other exterior cleaning services in Llanelli include window cleaning, gutter cleaning and fascias, soffits and cladding cleaning.